All Crane Training USA Inc.
All Crane Training USA Inc. (ACTU) , endorses the national certification program offered by the National Commission for the Certification of Crane Operators (NCCCO), and provides training to prepare candidates for NCCCO examinations. ACTU prides itself in offering excellent crane education and training, supporting certification of crane operators to help to expand their job opportunities and reduce their risk of loss with fewer crane related accidents. At our national training center we offer mobile, tower, overhead and articulating crane preparation classes for NCCCO written and practical examinations. 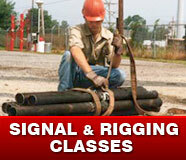 We also provide training for mobile, tower, overhead, and articulating cranes. Our classes are comprehensive and our well-trained experienced classroom instructors work closely with all students to provide them with a complete understanding of course material so they can successfully pass the NCCCO written and practical exams. We are confident that our students are prepared to pass their first attempt at the NCCCO written exam and if they fail we will let them take the next class for FREE. ACTU’s facility is also a test site for the NCCCO written and practical exams and our staff are accredited examiners. ACTU’s complete instruction, training and testing facility is one of few that offers all the necessary components to complete certification for Mobile, Tower, Overhead and Articulating Crane Operation. While most of our instruction and training takes place at our training center, we also offer on site instruction, training and testing for businesses who desire to have their crane operators trained and certified. Our National Training Center is located at 9131 San Leandro St., Suite 110 in Oakland, California 94603, located in the San Francisco Bay Area. 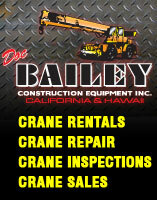 We regularly perform services throughout the Western United States & Pacific Islands. 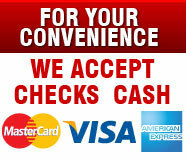 © Copyright 2009, All Rights Reserved ACTU, Inc.